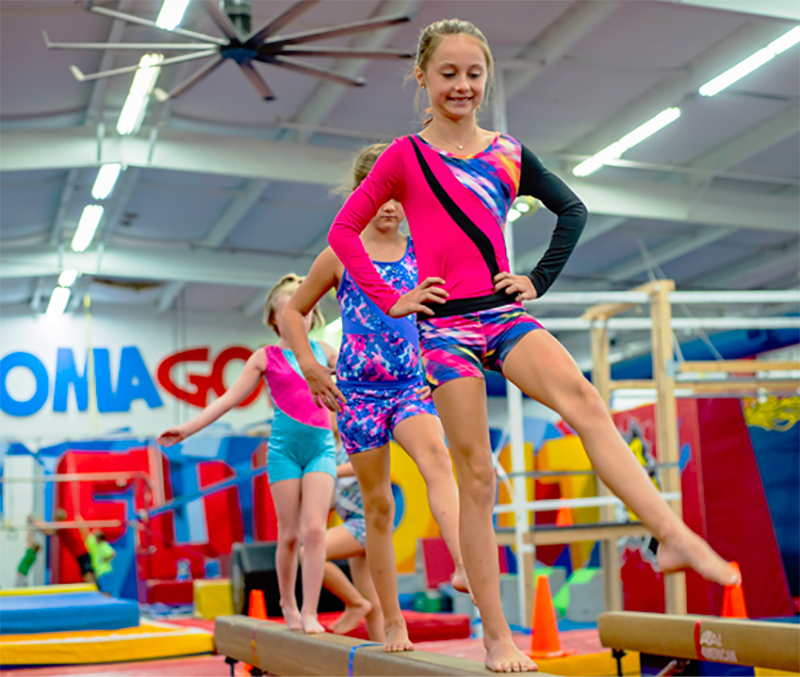 Oklahoma Gold Gymnastics is the premier gymnastics facility in Oklahoma. 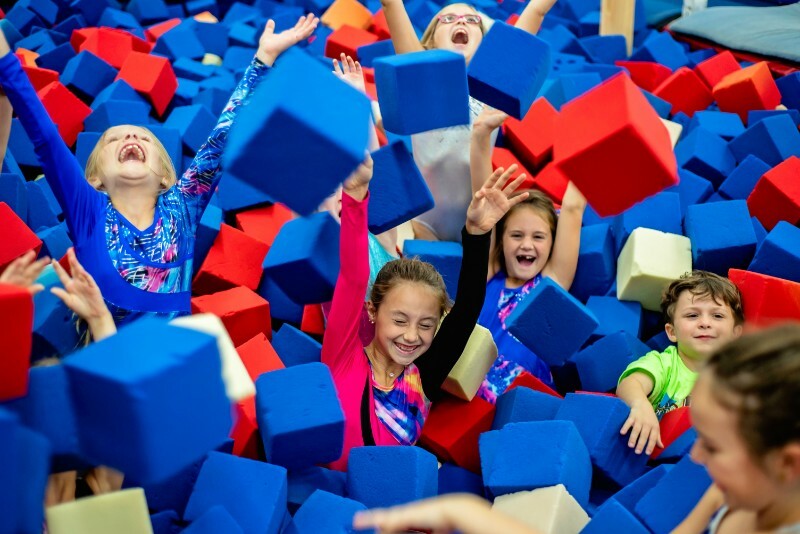 Our Big Gym and Little Gym feature recreational and competitive gymnastics classes, a ninja warrior course and are home to the best birthday parties in Oklahoma. Browse our programs below to find the best fit for your family. 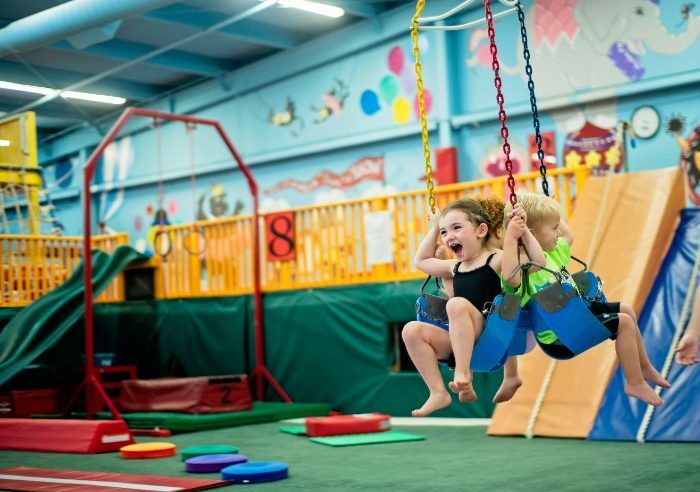 Celebrate your child’s birthday with 90 minutes of bouncing, zipping and flipping fun in one of our two gyms. 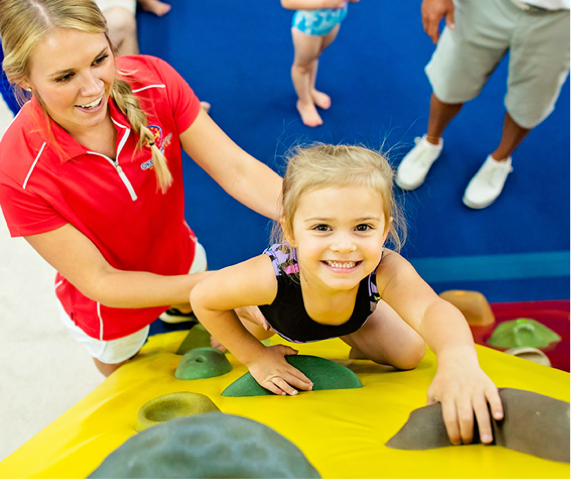 Our 55-minute gymnastics classes for preschool to school-age kids at all levels are taught by our expert staff. 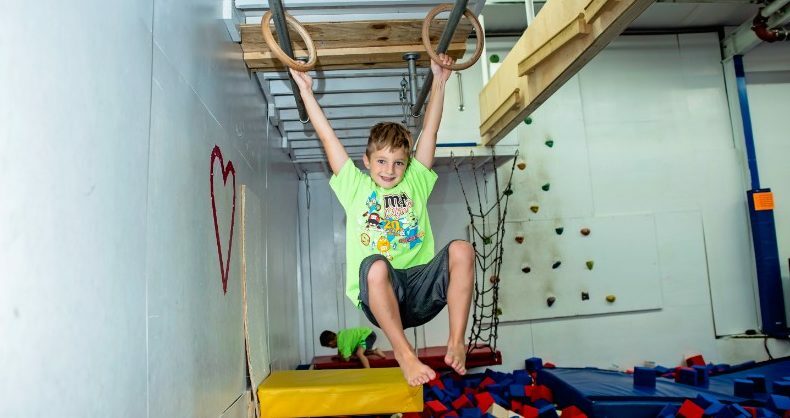 You’ve seen it on TV, but now your child can try a Ninja Warrior course at Oklahoma Gold! No matter the skill, we will help your child become a confident tumbler with our beginner, intermediate and advanced classes. 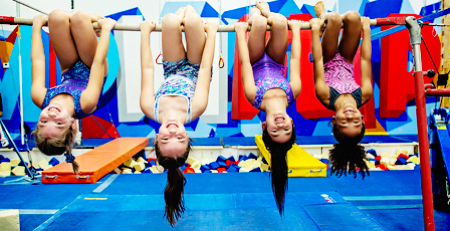 Our AAU Competitive Program is the perfect mix of fun and challenging for girls gymnasts interested in a competition program. Between our Parents’ Night Out, Kids’ Day Out, Summer Camp and clinics, there’s always something to look forward to at Oklahoma Gold. Our philosophy is that kids learn best when they are having fun! At Oklahoma Gold, we strive to make every minute of class fun, challenging and rewarding. At Oklahoma Gold Gymnastics there is always something going on! Stay up to date by following our blog below, Facebook and Instagram accounts.